THURSDAY, Nov. 17, 2016 (HealthDay News) -- Hospital patients with low blood sugar may be at increased risk for death, a new study from Israel suggests. The study included nearly 3,000 patients with low blood sugar (hypoglycemia). Nearly 32 percent died by the end of the follow-up period. For patients with moderate hypoglycemia, the risk of death was higher among those taking insulin than among those not taking insulin. For those with severe hypoglycemia, death risk was the same in both groups. 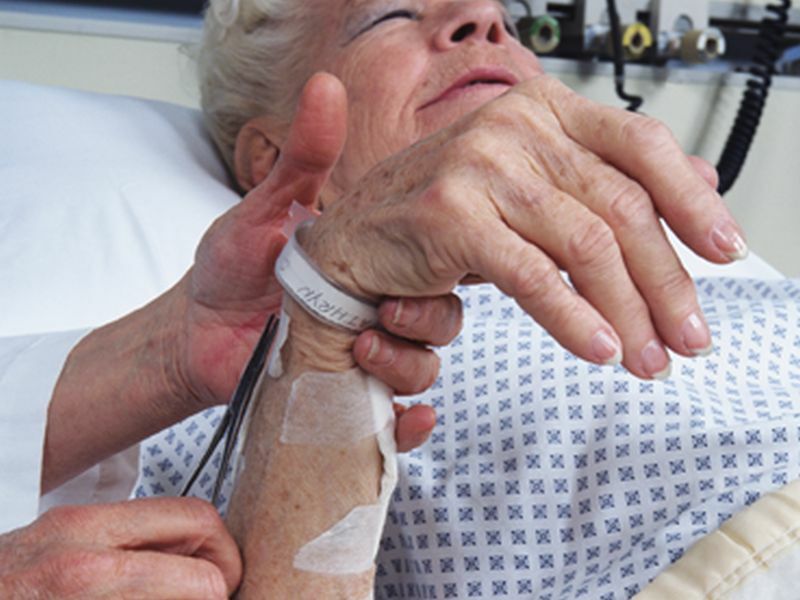 The reason for hospital admission had no effect on the association between blood sugar levels and death risk, according to the study. It was published Nov. 17 in the Journal of Clinical Endocrinology & Metabolism. "Hypoglycemia is common among hospitalized patients with and without diabetes mellitus. Our findings suggest that hypoglycemia, whether insulin-related or non-insulin related, is associated with short- and long-term mortality risk," said senior study author Dr. Amit Akirov, from Rabin Medical Center in Israel. "These data are a timely reminder that hypoglycemia of any cause carries the association with increased mortality," Akirov said in a journal news release. However, the study did not prove that low blood sugar causes death risk to rise.